Have you tried scuba diving? If not, you should try it! Every summer, I take a few days’ vacations and travel around a beautiful beach site. In recent years, I went to Miyako Island in Japan, which has beautiful and large coral reefs. I’ve also visited many diving sites outside Japan. 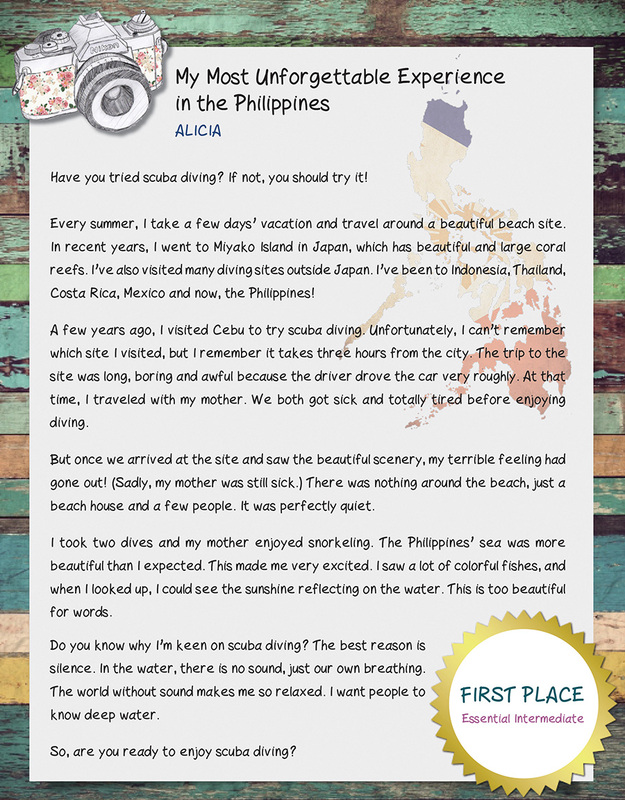 I’ve been to Indonesia, Thailand, Costa Rica, Mexico, and now, Philippines! 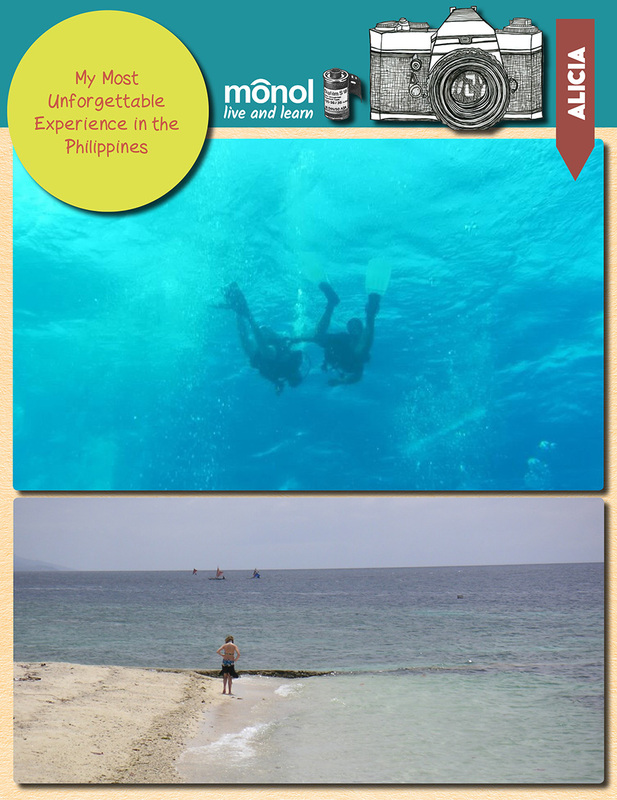 A few years ago, I visited Cebu to try scuba diving. Unfortunately, I can’t remember which site I visited, but I remember it takes three hours from the city. The trip to the site was long, boring, and awful because of the driver through the car very roughly. At that time, travel with my mother. We both got sick and totally tired before enjoying diving. But once we arrived at the site and saw the beautiful scenery, my terrible feeling has gone out! (Sadly, my mother was still sick.) There was nothing around a beach, just a beach house in a few people. It was perfectly quiet. I took two dives and my mother enjoyed snorkeling. The Philippines Sea was more beautiful than I expected. This made me very excited. I saw a lot of colorful fishes, and when I looked up, I can see the sunshine reflecting on the water. This is too beautiful for words. Do you know why I mean on scuba diving? The best reason is silence. In the water, there is no sound, just our own breathing. The world without sound makes me so relaxed. I want people to know deep water. So, are you ready to enjoy scuba diving?